Well guess what I spotted at my local Walmart recently? I had seen the Hard Candy line in the Walmarts down the border and was excited to spot it in my own local Walmart shelf. The prices for the line is on par with most of the other lines here (such as Rimmel and Maybelline) but the cute packaging definitely gets bonus points for marketing. I originally had my eyes on the Glow all the Way luminzer (since you know I have an attraction to all things sparkly) but in the ended I decided that it might be a good thing to try out some sample items in smaller sizes first. That's when this set caught my eye, it included a sample of the Sheer Envy Primer, Glow all the Way luminizer, Baked blush "Living Doll" and Plumping Serum Lipgloss. Good thing I ended up with the sample set because I soon found out that the luminizer is too thick for my liking but yet I LOVED the lipgloss. And while I stay away from most silicone primers, the Sheer Envy certainly was worth a try and felt much better (lighter, easier to spread) than I had expected. 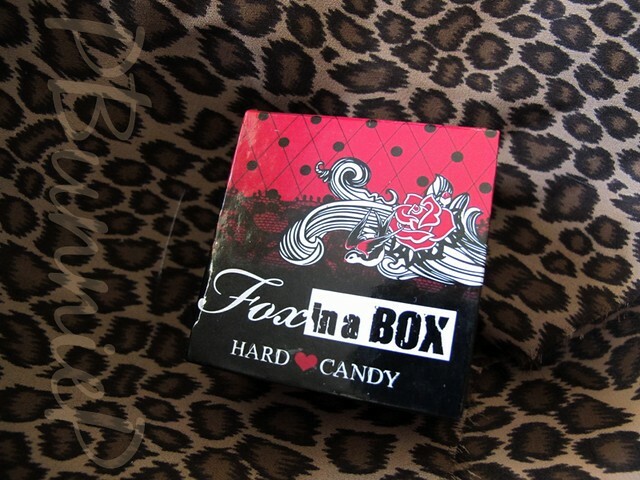 Introducing.... FOX IN A BOX! I know what you are thinking as your looking at this, and the answer is "no, I don't own a single Benefit blush product" (unfortunately) as I think that for the most part, Benefit is overpriced for many of their products. Surprisingly, all the four shades have decently pigmentation on my skin, I was especially happy that even the peach-beige has a light sheen that will make a beautiful blending shade. 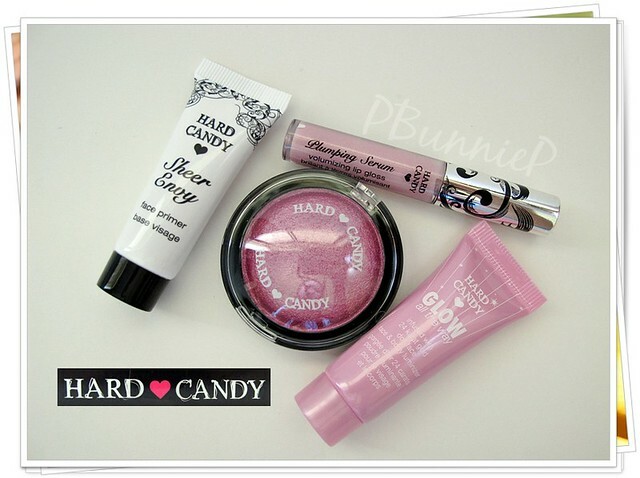 I haven't had a chance to wear these yet but I'm anticipating good things ahead from Hard Candy and I'm certainly looking forward to picking up some more items (*ahem, more blush anyone?) the next time I head down to the States!